Today, I’m thrilled to be the closer for Rod Reynolds on his Black Night Falling blog tour! I’ve been racking my brain to make sure that I can do him and this superb book justice with my review!!! In the interest of full disclosure, I *still* haven’t gotten to read Rod’s first book, The Dark Inside (I know!!!!) 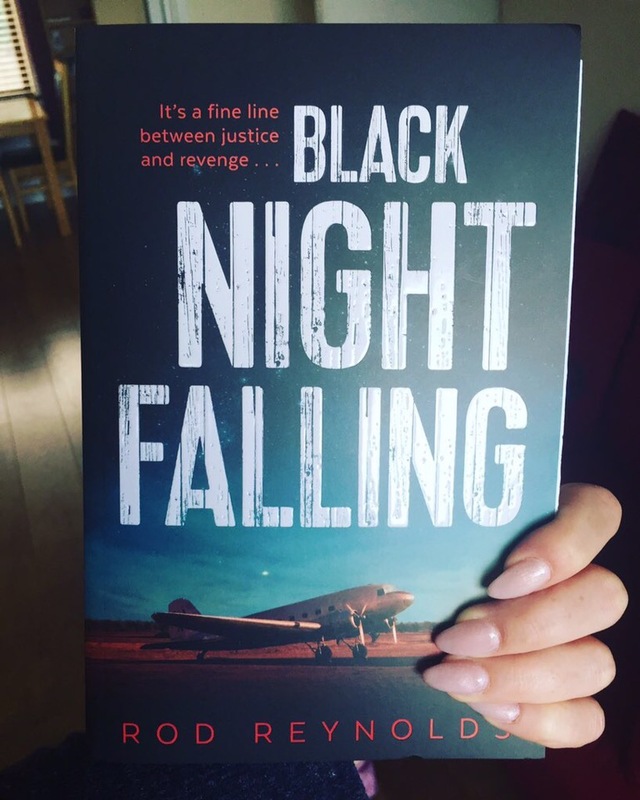 but after reading Black Night Falling I will definitely be reading it sooner rather than later! Black Night Falling picks up after the events in TDI, yet it can easily be read on its own and not leave the reader with many questions. We meet Charlie Yates, who gets a call from someone he used to know. This call is enough to make Charlie go back to the South and back towards his past. What follows is one of the best examples of American Crime Noir that I have ever read. The reader is instantly drawn in and engaged in the story. Charlie is such a great character and so likeable that you will be cheering him on through the whole book. There are plenty of unsavoury characters and more than enough action to keep you gripped and turning the pages as fast as possible. I found myself stumped on more than one occasion because I just didn’t see where the story was going! This is what I love about books like this, you think you have everything sussed and then in comes a punch from leftfield and you are knocked sideways! Black Night Falling is an all round excellent novel. Brilliant characters with various different story arcs coming in to play and the exceptional location make it a very atmospheric and tense book and I cannot recommend it highly enough. Rod Reynolds has created a wonderful thing here, in every sense, Black Night Falling is perfection.